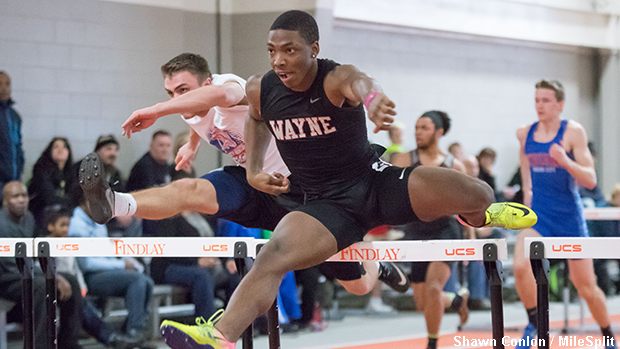 Wayne's Justin Harris earned the 55m hurdles win at Capital University. The indoor track and field season has reached its midway point and after a busy weekend of action, the state's leaderboards and rankings have been officially shaken up. Top overall and grade-class best times and marks were rapidly changing, as some of Ohio's elites lined-up for the first time in 2019 while others, who already had a few meets in, really started to find their groove. See the links below and browse the next page to get caught up to speed on some of the top performances from last weekend.